Hope you all have been having a productive week so far! 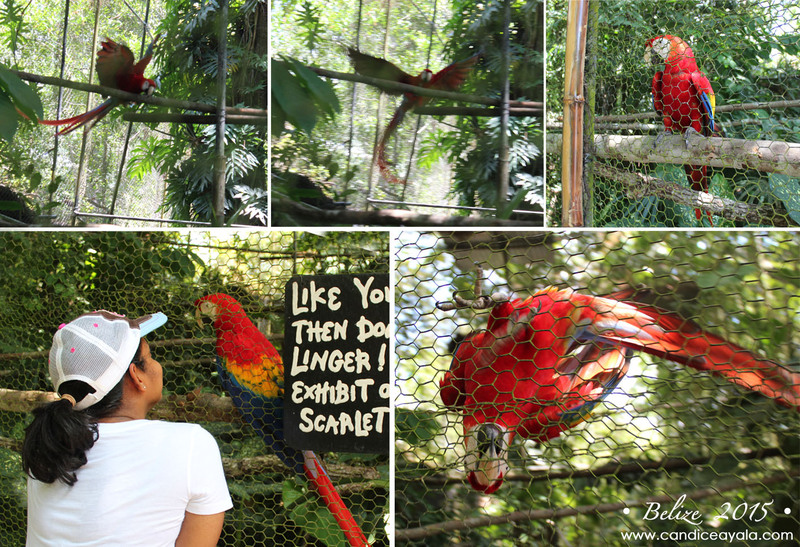 I’ve been a little under the weather so not much has been happening around here, but I wanted to be sure to share with you some more of our Belize adventures. 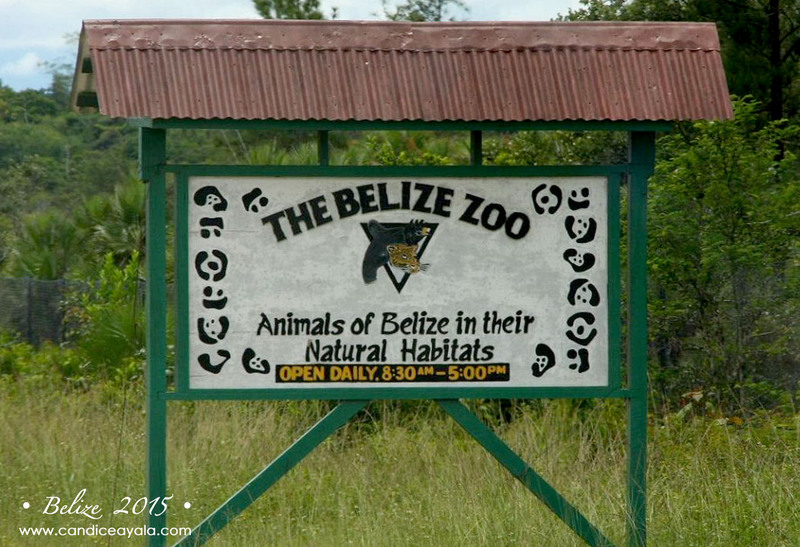 We were on our way to Benque to spend an overnight with our Aunt Martha and Uncle Victor when Aunt Martha suggested we could stop at the Belize Zoo. So we did! 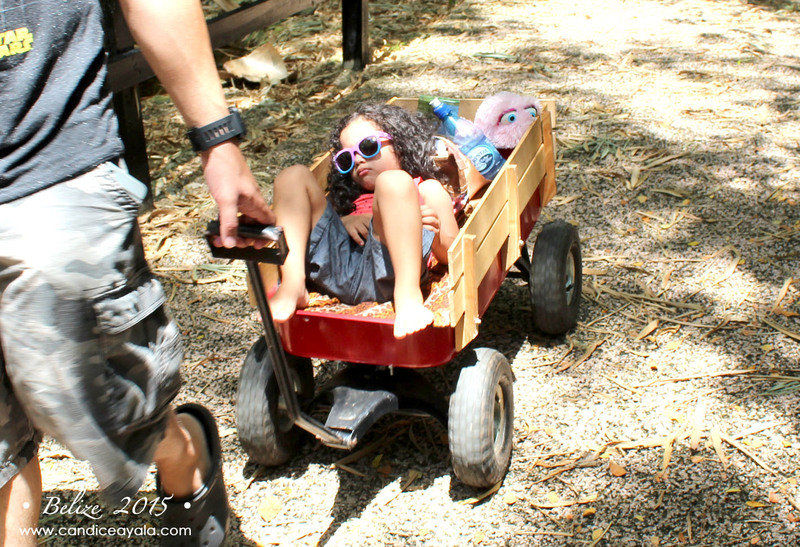 They are always so gracious and accommodating when we visit, they truly have more pep than I do -always on the go and always up for an adventure! 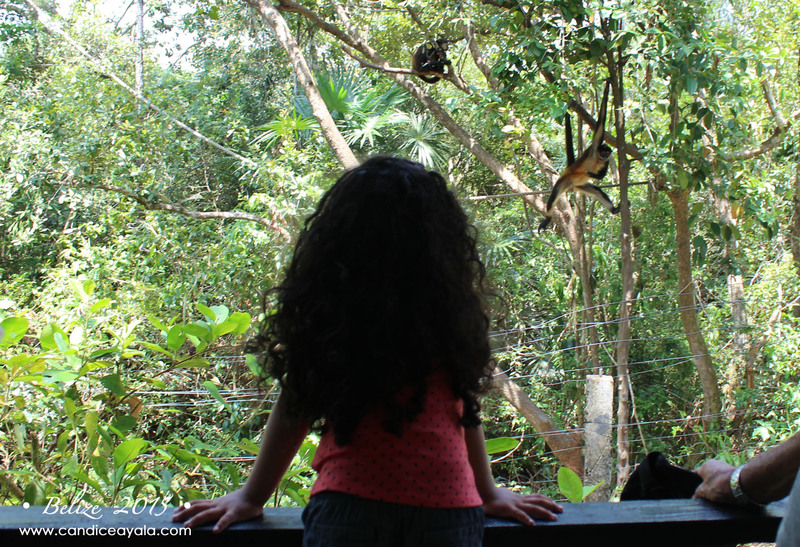 The Belize Zoo has been dubbed “The Best Little Zoo in the World”, and it truly is! 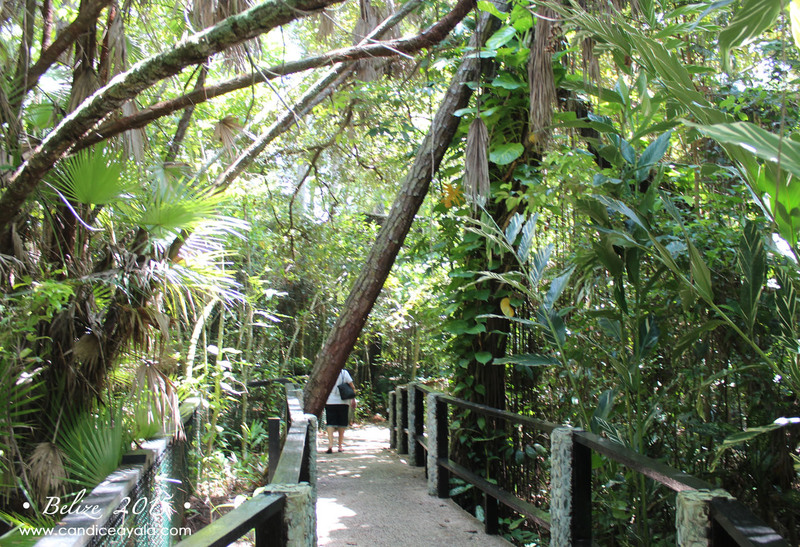 My opinion might be biased, but here’s why it really is: the natural environment of the rainforest is left ENTIRELY intact within the zoo. 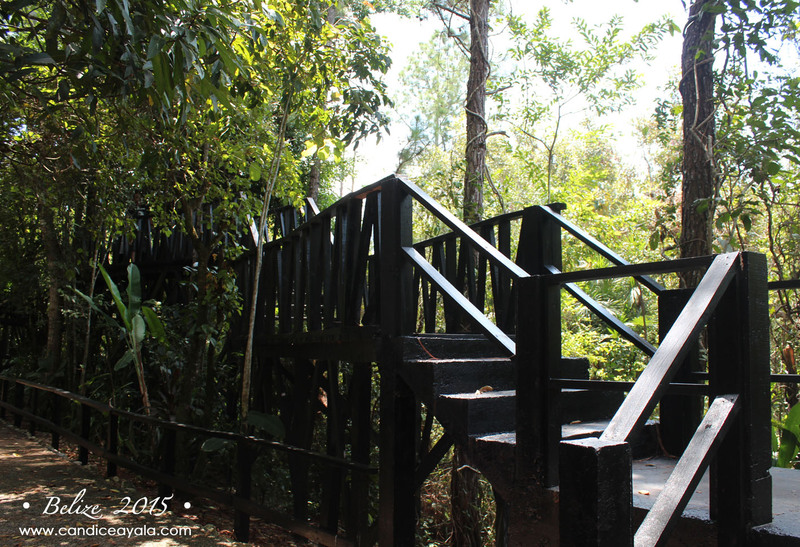 The dense, natural vegetation is separated only by gravel trails and fence links throughout the forest. Meaning these animals are living in a truly NATURAL habitat rather than an artificial, man made one. 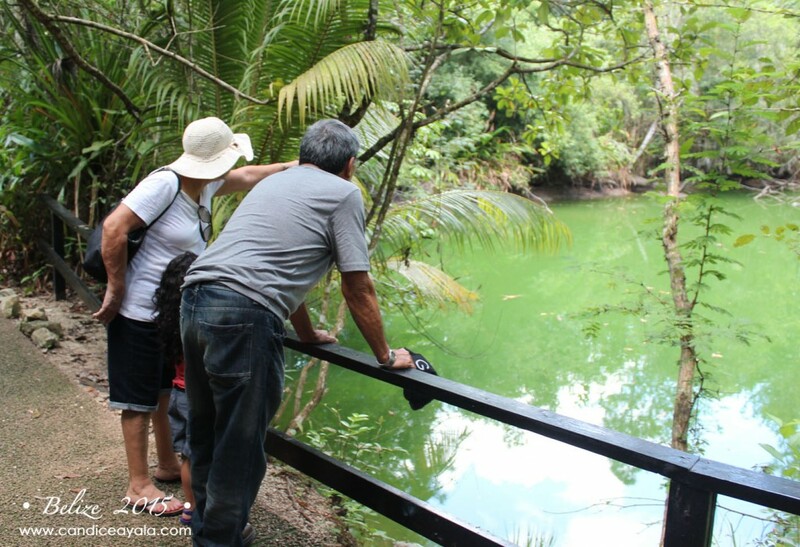 Yes, the wading rock pools, fences and cages are man made but very careful consideration was taken into account to ensure that the surrounding rainforest vegetation remained untouched. This was my first time back after many, many years and it was such a wonderful experience to see it through the eyes of my kids. I had forgotten just how beautiful it was, just take a look! 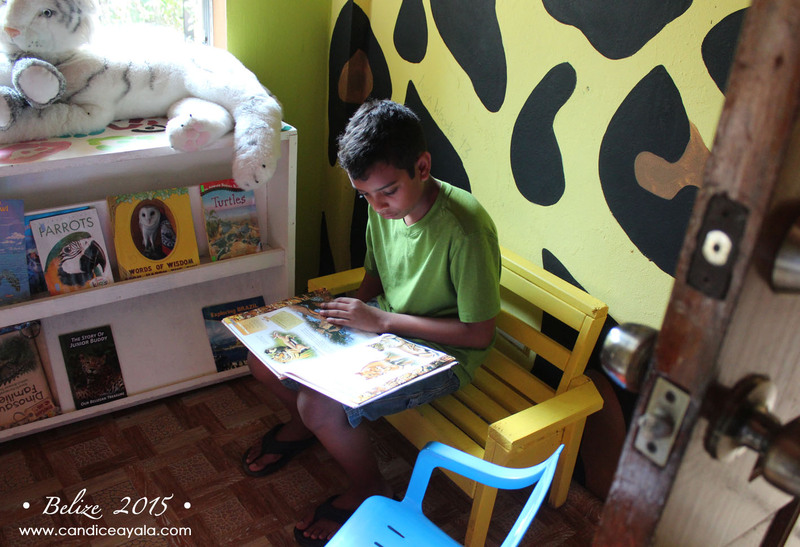 I thought this little reading nook at the reception office was really cute, the kids enjoyed reading in there while we waited for our turn to get tickets. 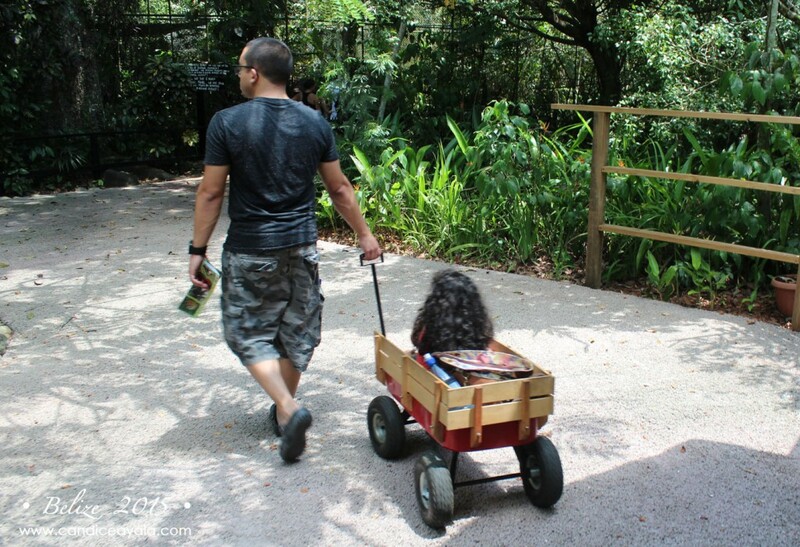 We rented a little wagon, and off we went! 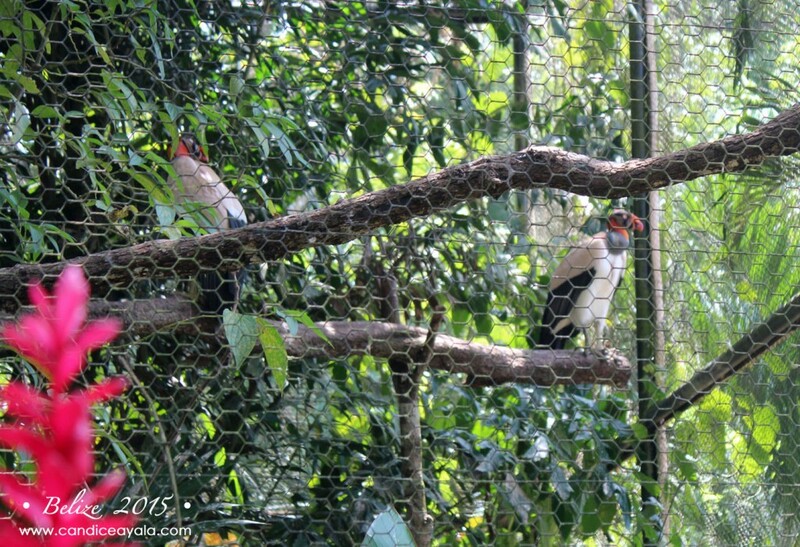 These viewing decks and made viewing the monkey’s and howler baboons so much fun! Abigail thought they were funny and fascinating especially since they put on such a show for us. 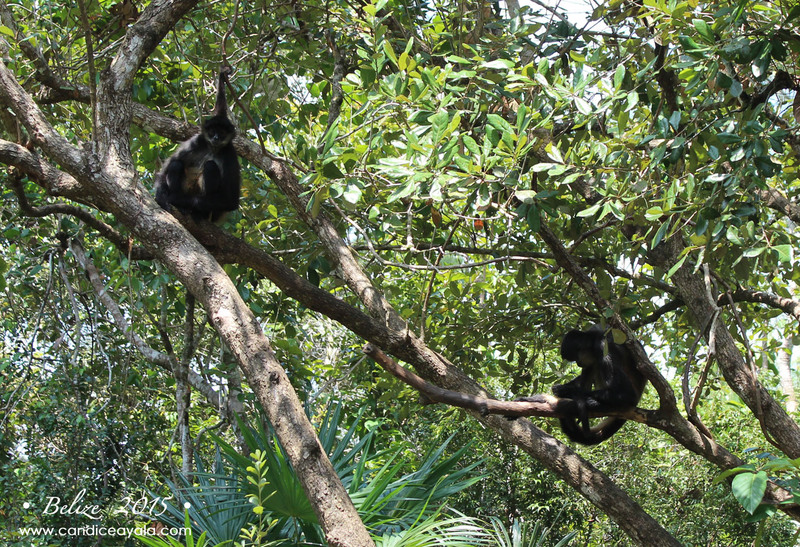 While there are small fences keeping the monkeys from coming over to the viewing deck, notice there is nothing overhead keeping these monkey’s from feeling like they are free, they come and go as they please throughout the rainforest. 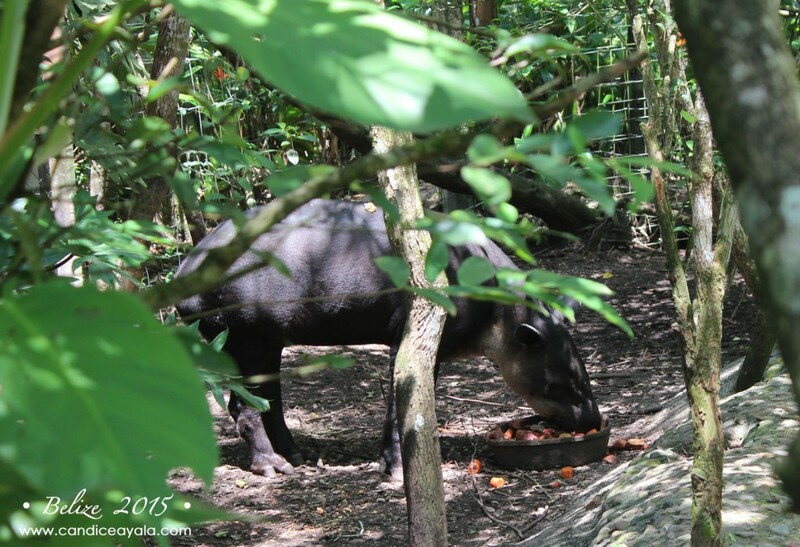 and caught a side view of the National Animal of Belize, Fuego the Tapir while he ate. 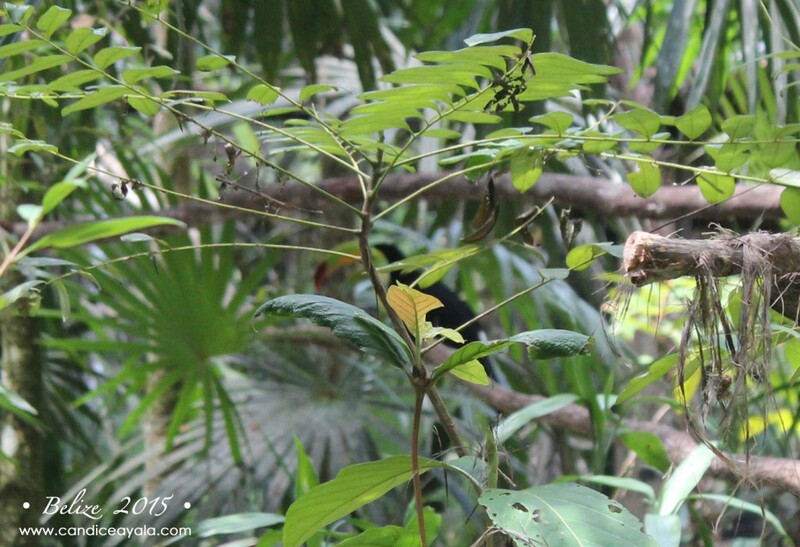 We caught a small glimpse of the National Bird of Belize, the Toucan…if you look closely you can see the red tip of its beak here. It’s such a beautiful bird, I wish I had gotten a better picture. 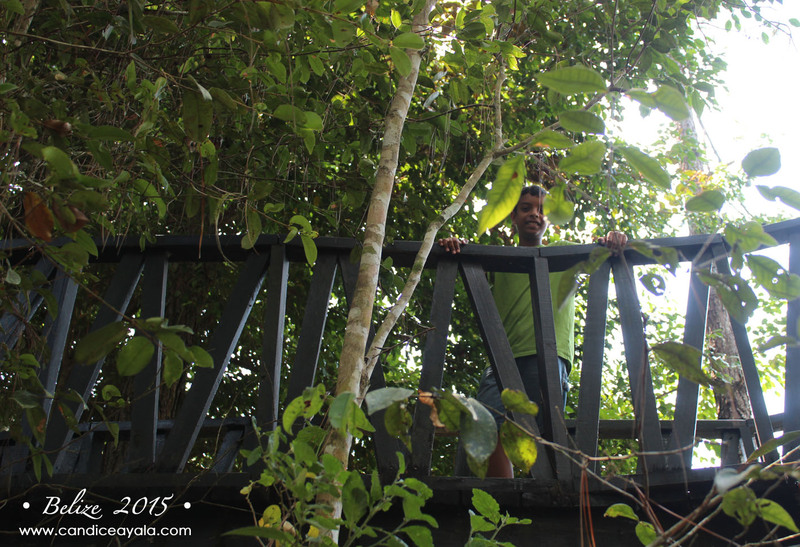 Then we tried looking for Sally, the Morelet’s crocodile but we couldn’t find her. We did see some turtles tho. 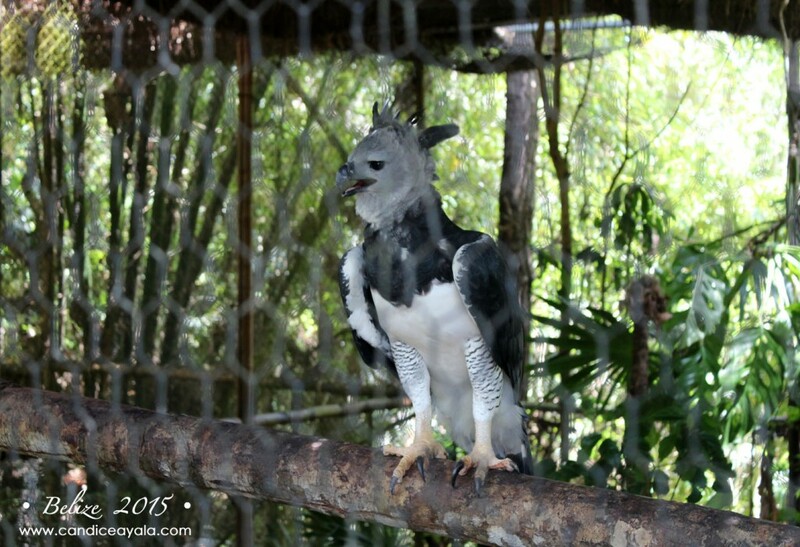 Next up, was Rex and Sally the King Vultures. And then we came upon one of my favorites! 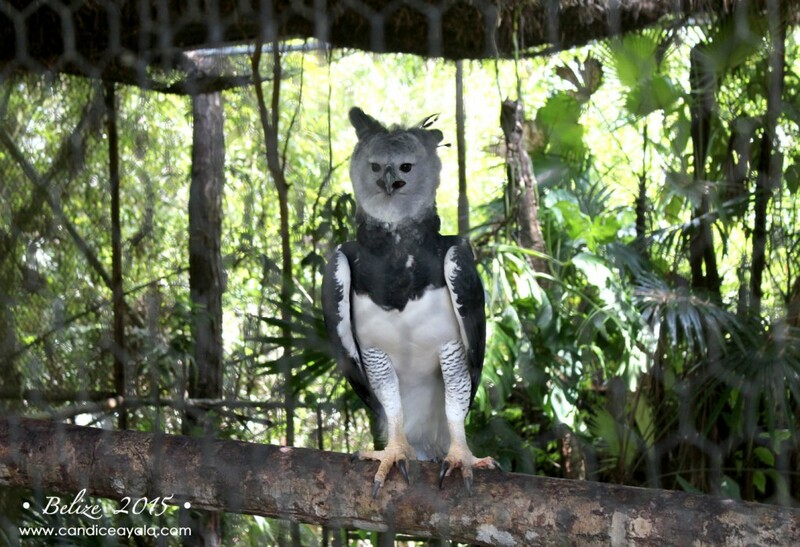 This is Panama, the Harpy Eagle – he’s such a majestic bird! I lingered here a little longer because he was just so captivating. 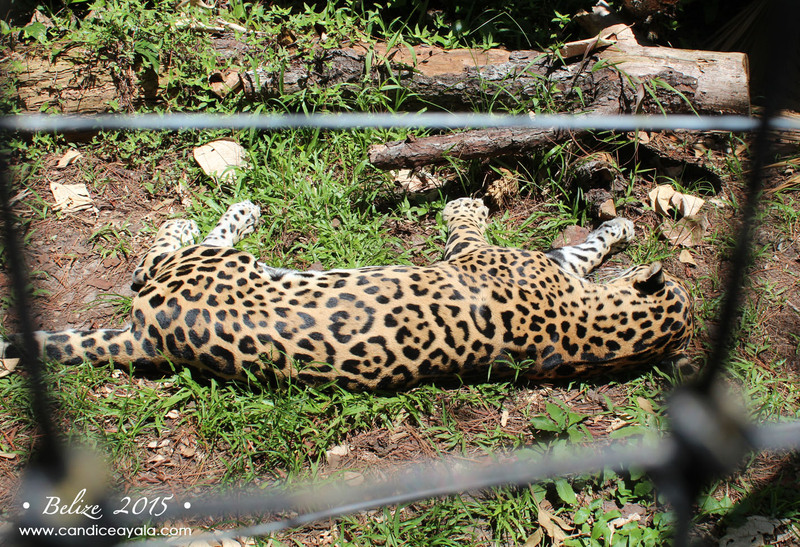 That is until we came upon the big cats! 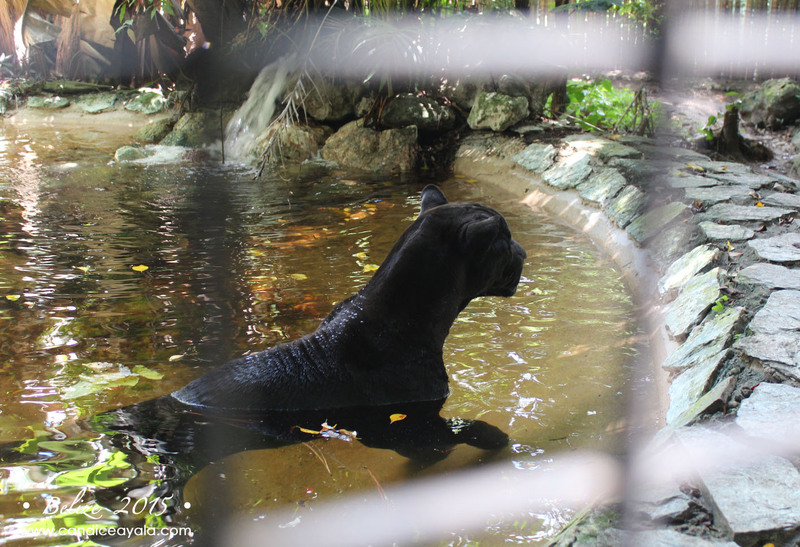 Look how beautiful this black jaguar is! It was just so fascinating to see him up this close, I could actually hear him breathe. 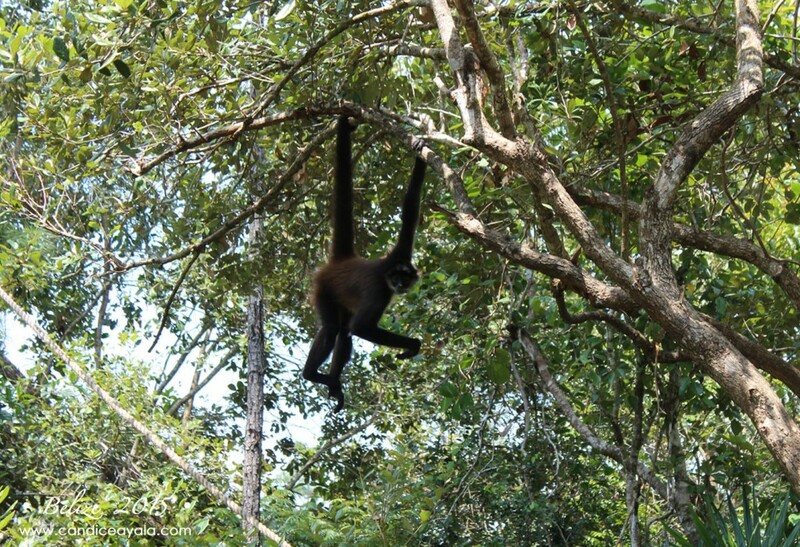 His name is Lucky Boy and he’s a rescued animal; you can learn all about his fascinating story HERE and learn why he really is a lucky boy!. 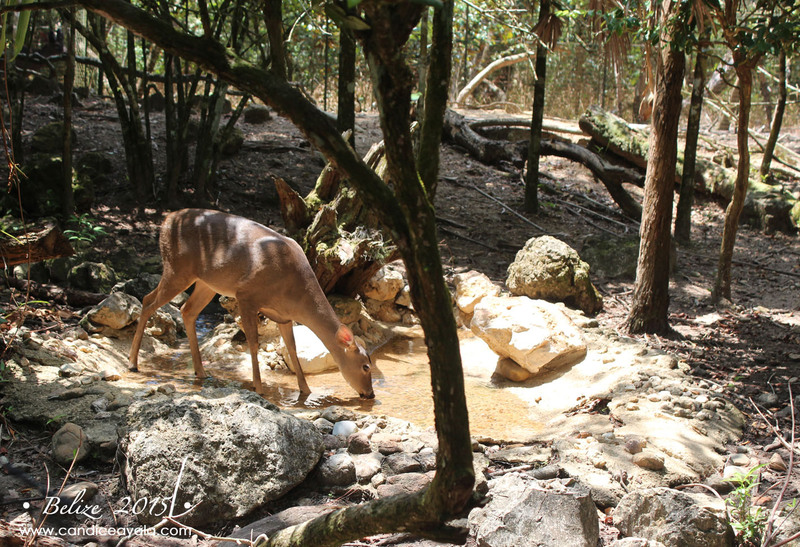 Another reason why The Belize Zoo is “The Best Little Zoo in the World” is because it is largely a rescue zoo, it cares for animals that were once orphaned, rescued, rehabilitated animals as well animals that were donated from different zoological institutions or born at the zoo. This post is spot on! Did the animal ‘prints’ inspire any sewing projects…:)?! Hope you are fully recovered soon so you can keep the posts coming…(Selfish, true?). Love following along…:)!!! 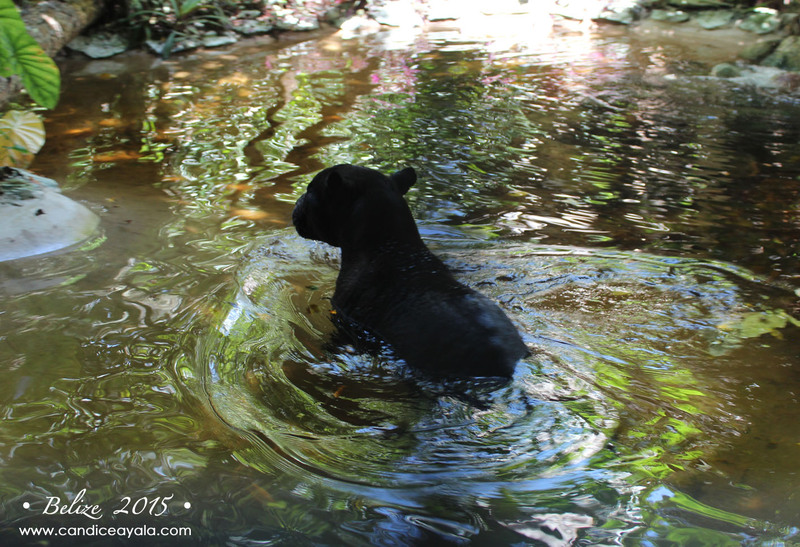 GREAT pics of Panama AND Lucky Boy swimming…SUPER COOL. And I always love to see my boyfriend Junior Buddy. 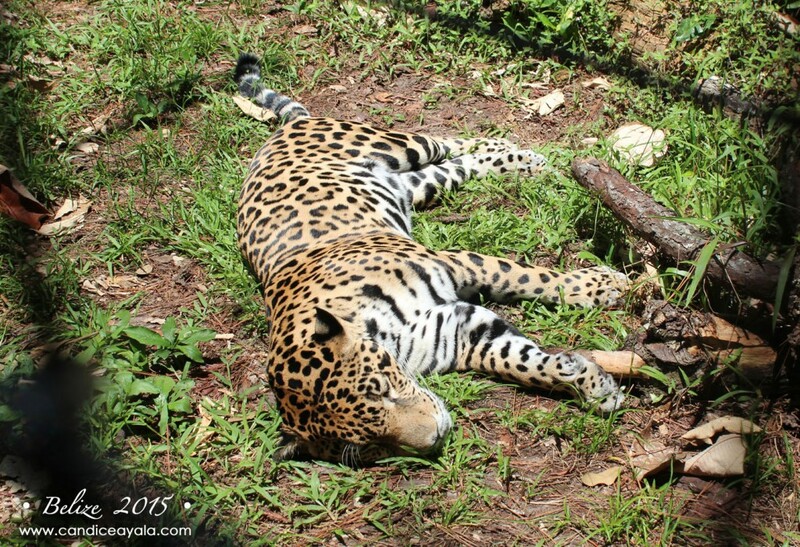 Sigh…I LOVE the Belize Zoo.